Coach Rodriguez grew up in Annapolis, MD and attended high school at Mount St. Joseph HS in Baltimore where he played football, hockey, and lacrosse. He continued playing lacrosse and hockey in college at Salisbury University. His senior year, he was captain of the 2011 National Championship team and earned Goalie of the Year award in his final All-American campaign. During his 5th year of college, he was drafted to the Chesapeake Bayhawks, and has played professional lacrosse in the MLL and LXM Pro Tour for the last six season. He began his coaching career at La Costa Canyon HS in San Diego in 2013. He spent two seasons as head coach of Trabuco Hills HS in Mission Viejo, winning the South Coast League Championship in 2015 as well as Coach of the Year honors for the league in 2015. 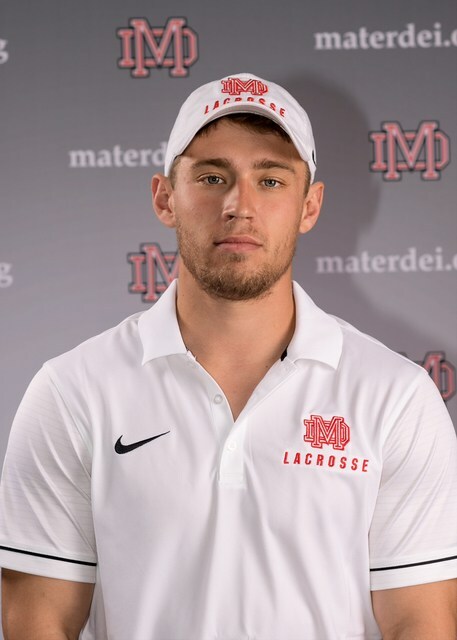 This spring, Coach Rodriguez will begin his 3rd season leading the Monarchs as one of the vastly emerging lacrosse programs in Orange County. Luke Phipps was born and raised in Street, Maryland to Susan and Joe Phipps along with his two older siblings, Holly and Ben. He started playing baseball and basketball at a very early age and finally picked up a lacrosse stick for the first time when he was 8 years old. He attended John Carroll High School, where he put his athletic focus solely on lacrosse. He played three seasons on Varsity, earning Team Captain his senior season and both All-MIAA and All-County honors his Junior and Senior seasons. His first year of college was spent playing at Jacksonville University in their inaugural Division 1 season. He then transferred to Essex Community College, where he was Team Captain, 1st Team All-American and Regional Offensive Player of the Year. Luke finished his college career at Salisbury University, learning and playing under Hall of Fame coach, Jim Berkman. During his senior season he earned All-American and All-Academic Honors. Graduating with a B.A. in Communications and a Minor in Coaching, Luke quickly transitioned from player to coach. He moved to Austin, Texas for a year and a half where he coached for Westlake High School and Iron Horse Club. In June, Luke moved to Huntington Beach, California, where he now resides. Coach Cannone grew up in Long Island, NY were he attended Bethpage High School. While at Bethpage, Coach Cannone was a two-sport athlete (lacrosse & golf). He continued playing lacrosse at Salisbury University (Salisbury, MD). During his four years with the Seagulls Coach Cannone won two National Championships (2011 & 2012), was a 4-time USILA All-American selection, and currently sits second all-time in career points and third in career assists. In 2012, Cannone captained the Seagulls and lead the team in scoring with 130 points, which earned him Attackman of the Year in 2012. Upon graduation from Salisbury University, Cannone was draft by the Long Island Lizards. Cannone continued to stay involved with in the game and started his coaching career back at his Alma Mater, were he served as the Offensive Coordinator from 2013-2015. In 2015, Cannone moved to California were he helped play a pivotal role in the creation of the Santa Monica Dragons and coached Varsity lacrosse at Harvard-West Lake High School. After two years in LA, Cannone took over the Varsity Lacrosse program at Beckman High School (Tustin/Irvine, CA) where he went 26-10 in his two seasons. This spring Coach Cannone joins the Varsity staff at Mater Dei were he will play a crucial role with the offense along side fellow Salisbury Alumni Luke Phipps. Coach Myrick grew up in San Diego, CA and started playing lacrosse at the age of 10. 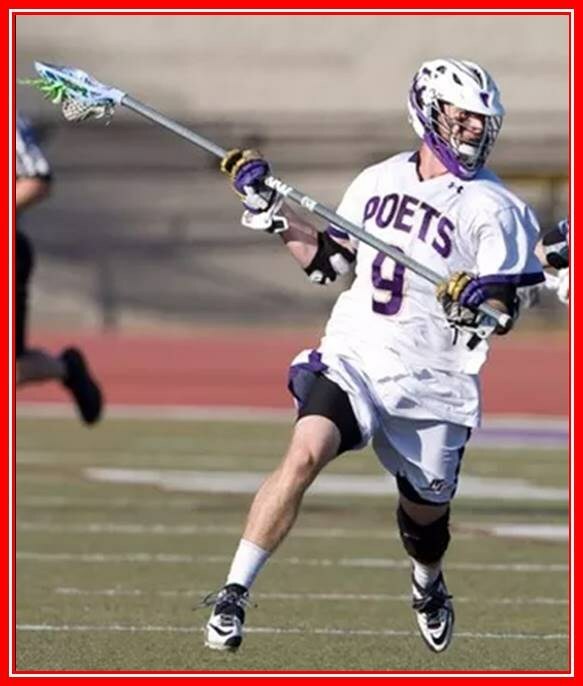 He was introduced to the sport by his 4th grade teacher and fell in love with lacrosse after attending one of the first ever Adrenaline camps in Southern California. He started off as an attackman and due to “late blooming” athleticism, slowly took an interest in defense. Coach Myrick saw early success in his new position and was selected to play for West Coast Starz in middle school, where he was given the opportunity to participate in elite east coast tournament’s and take his game to the next level. He would go on to excel at defense while attending Torrey Pines HS where he was named a 3-year Varsity starter and Senior Captain. Before leaving Torrey Pines, Coach Myrick would receive All-CIF honors and lead his 2011 Torrey Pines team to a CIF championship and a #1 Western ranking. He continued playing lacrosse at D3 Whittier College where he was a 4-year starter and defensive captain before graduating in 2015. This spring Coach Myrick will begin his 2nd season with the Monarchs as the Defensive Coordinator. Coach Johnston grew up in Norwell, MA and attended Norwell High School which is located in the suburbs of Boston. In high school Coach Johnston was a 3 sport athlete playing football, hockey, and lacrosse. He continued playing lacrosse in college at Rochester Institute of Technology (RIT). Coach Johnston was a 3-time All-American at RIT and was a First-Team selection and D3 Goalie of the Year in 2015. Coach Johnston holds the record at RIT for most wins as a starting goalie (56) and is second in career saves (698). He began his coaching career at Washington College in 2016, were he served as the goalie coach for the Shoremen. Coach Johnston moved to Southern California in 2017 and has spent the last year coaching with the Buku Lacrosse Club. 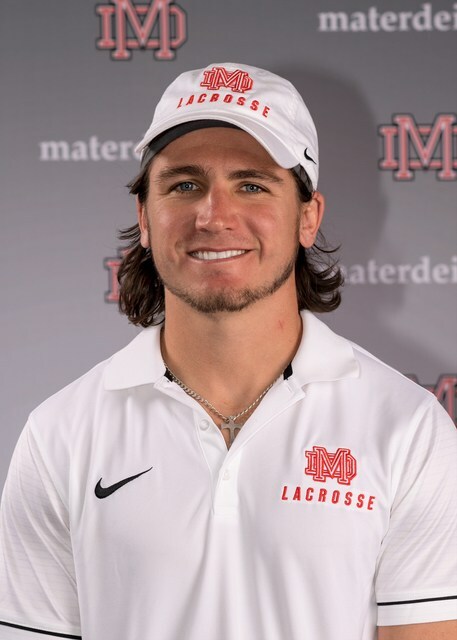 Coach Johnston joined Mater Dei in the Fall of 2018 and serves as the Head JV Coach. Sean Goodell, born and raised in Portland, OR. Started lacrosse in 6th grade and continues to play at the college level. Offensive Midfield/Attack-men. 4 year high school varsity player at Lake Oswego High School. Played at Missouri Valley College for one year after High School. First team all conference, NAIA national champion runner-up. 3rd year playing at Concordia Irvine. 2017 National champion. Currently in last year of eligibility. Sports management and marketing major.